David Vitek is a senior analyst at Hamilton Place Strategies, where he works with technology, healthcare, and education clients on economic policy analysis and strategic communications issues. 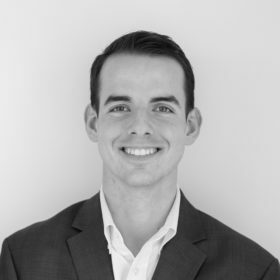 Before joining HPS, David was a summer intern at David Gardiner & Associates, an energy and environmental policy consulting firm in Arlington, Virginia, where he worked on state and national energy issues and helped manage a national trade association. David was also a federal affairs intern with McGuireWoods Consulting, a national lobbying and law firm, working on tax, energy, and healthcare issues in their Washington D.C. office. As a native North Carolinian, David also spent time interning in the policy office of Governor Pat McCrory and in the Majority Leader’s office in the North Carolina House of Representatives. Born and raised in Raleigh, North Carolina, David graduated with a degree in Public Policy with minors in Urban Studies and Entrepreneurship from the University of North Carolina at Chapel Hill.